Although engineering is all around us, all of the time, most of us don’t tend to give it much thought. The processes by which everyday items are designed don’t usually matter too much to the end user. They do matter a lot, though, when they have an impact on safety. And when the product in question is a commercial jet airliner, supposed to carry people around the world in comfort and luxury, a flaw in the design can cost lives. Commercial aviation is arguably one of the wonders of the modern age. It has helped to shrink the world, putting the entire globe within relatively easy reach of the average person. Although it existed as far back as the First World War – the first commercial air passenger paid $400 for a journey made in January 1914 – it was in the wake of the Second World War that it expanded and, if you’ll excuse the pun, really took off. Many of the first commercial aircraft were originally designed for military use, and only later converted for passengers, but as air travel became more popular it was clear that aviation manufacturers needed to cater specifically to civilian usage. They needed to equip their aircraft with onboard comforts like lavatories, and for airline companies to make flight affordable, they needed to expand capacity. This led to the development of commercial jet airliners. They could be larger, faster, and more comfortable than their propeller-driven predecessors. It was the beginning of the Jet Age. De Havilland were a British aviation manufacturer intent on riding the crest of that wave. In 1949, they proudly unveiled the world’s first commercial jet airliner, the de Havilland Comet. It was introduced to passenger services in May of 1952. With four turbojet engines in the wings, the Comet promised a smoother flight experience than propeller aircraft could provide. Its pressurised cabin – something modern air travellers take for granted – was also a new development which meant that the Comet could now fly above rough weather, instead of taking a rough trip through it or a long one around it. And the large square windows gave passengers spectacular views. Advertisements for the plane in the 1950s made it sound like a dream. However, de Havilland would soon discover that having the first jet airliner didn’t necessarily mean it was the best. The flight had started in Singapore, and was heading on towards London, via Delhi. On board this particular Comet there were six crew members and 37 passengers, mostly British but also including three Americans, two Burmese passengers and one Filipino. Just six minutes after taking off, Flight 783 was seen coming down in flames near the village of Jagalgori. There were no survivors. It was noted that the weather had been poor when Flight 783 came down; thunder storms were reported in the area. However, the investigation reported that weather conditions at take-off had been well within the allowed criteria, and the pilot was aware of the risk of storms. Witnesses had reported that the storm was unusually severe, though, and as the Comet was still climbing out they wouldn’t have been able to fly over it. The evidence at this point, just one month after the incident, was somewhat inconclusive. What, specifically, had caused that failure, nobody knew for sure. De Havilland and BOAC made a joint statement after the report was published. “The report is agreed in that the aircraft met severe gusts in thunderstorms. The force of the gusts has not been possible to determine but it is probable that they were of an unusually high order. It is not possible until the detailed examination, now underway, of the aircraft wreckage has been completed at the Royal Aircraft Establishment to determine the sequence of structural failure. Until such a sequence is determined it is only possible to theorise on the cause of the accident. 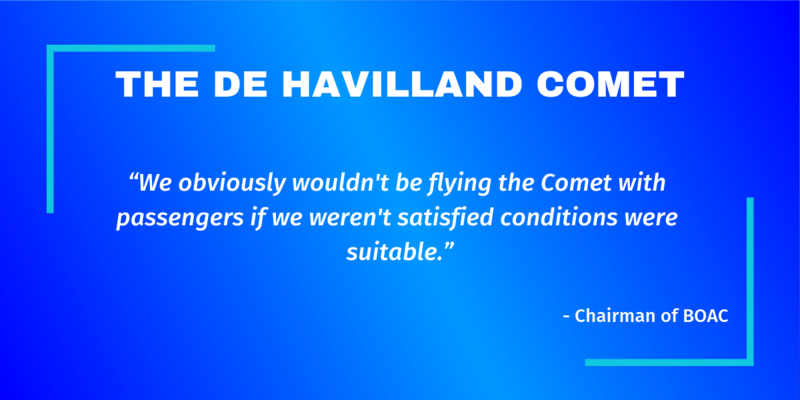 The investigation recommended that de Havilland “consider if any modification to the structure of the Comet is necessary.” Of course, without knowing what the problem was, they were in the dark as to what they should modify. They didn’t really have time, either. Six months after the publication of that report, there was another catastrophe. 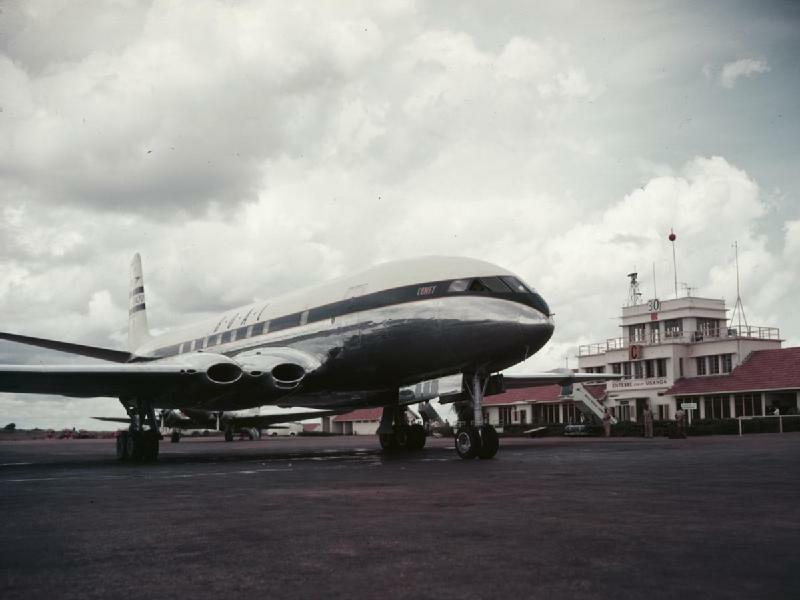 It was the 10th of January, 1954, and another de Havilland Comet was making its way from Singapore to London. 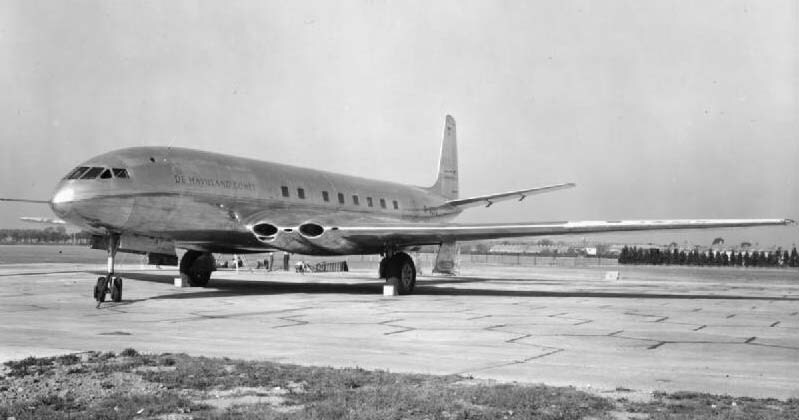 Designated Yoke Peter, it was the third Comet ever built, and on this trip it made it safely as far as Rome, where BOAC engineers made a routine inspection of the aircraft. They didn’t see anything wrong with it, and Flight 781 took off as planned for the final leg of its flight. There were 6 crew and 29 passengers on board. Ten of the passengers were children. About twenty minutes into the flight, the captain of the Comet, 31 year old Alan Gibson, was on the radio speaking to another BOAC pilot in the area about the weather. In the middle of a sentence, Gibson was abruptly cut off. Near Elba Island, off the Italian coast, fishermen saw wreckage falling from the sky into the sea. They rushed to the scene, hoping to find survivors, but there were none. Investigators faced a challenge. In 1954, planes didn’t carry flight data or cockpit voice recorders – the so-called black boxes which today’s investigators rely on. Instead, like the investigators of Flight 783, they had to figure out what had happened from the physical evidence. But the wreckage of the plane had fallen into the sea. A pioneering search and recovery operation ensued. It involved Royal Navy ships, a civilian salvage vessel and novel use of underwater TV cameras – something which had never been done before. Eventually, enough wreckage would be raised and taken to the Royal Aircraft Establishment for the investigators to examine it for evidence. They already knew it had been a sudden event, of which Captain Gibson had no warning – otherwise he would have said something to the pilot he was on the radio with. The bodies of the passengers and crew had also revealed some details of the crash. The pathologist who examined them found a pattern of injuries. Many had limbs which had been broken or damaged after they died, but in the majority the cause of death appeared to be a combination of fractured skulls and ruptured lungs. The lung damage pointed to a problem older planes hadn’t had – sudden depressurisation of the cabin, which caused the air inside to expand rapidly. Investigators simulated the crash, using a model fuselage with dummies seated inside and increasing the pressure inside until it exploded.This showed that the injuries had been caused when the passengers were thrown out of their seats and into the ceiling by the forces involved. But what had caused the explosion? The possibility of a deliberate bombing was considered, but discounted. The engines then came under suspicion. Based on the possibility of an explosion in the engines’ turbines, the entire Comet fleet was grounded until modifications to reinforce the turbine ring could be made. The New York Times reported this action on the 12th of January 1954 – just two days after the crash. “The British Overseas Airways Corporation temporarily withdrew from service tonight all de Havilland Comet jet airliners as an aftermath of the crash of a Comet yesterday near the island of Elba. This suspension of jet service by Britain’s one big overseas airline was followed promptly by similar action by the two French airlines that use the Comet – Air France and Union Aero Maritime des Transports. 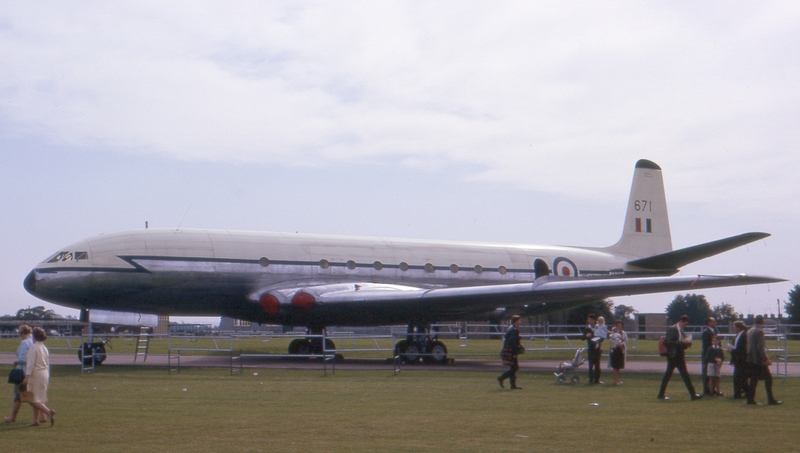 However, keeping the Comet out of service would be costly, so BOAC was keen to get the modifications made to the turbine rings and get it back into the skies as soon as possible. By the end of March, their Chairman was speaking reassuringly to the public on TV. Comet flights resumed on the 23rd of March 1954. A little over two weeks later, on the 8th of April, a BOAC charter flight operating as South African Airways Flight 201 left Ciampino Airport in Rome, bound for Cairo with a crew of 7 and 14 passengers. The same team of engineers who had checked Flight 781 inspected this Comet, designated Yoke Yoke, too. They had found some minor faults, and the plane had been held up for 25 hours as a result, but they were satisfied that it was ready to fly. The weather that evening was overcast but otherwise good. As the plane climbed into the sky, the Captain made routine radio reports of his location. And then, silence. Once again, radio contact with a de Havilland Comet had been lost. The loss of this plane made it clear that the investigators working on Flight 781 had been wrong about the turbine ring; the modifications they had made to the fleet had done nothing to stop this plane, and all its passengers, from falling out of the sky. The investigation was back to square one. Once again, the Comet fleet was grounded as air-sea operations began to search for wreckage. However, aside from pieces that had been found floating, there was little hope for retrieval. The depth of the Mediterranean Sea at that location, much deeper than where Flight 781 had come down, made it impossible. With so little evidence available from the latest crash, the investigators had to return to the wreckage of Yoke Peter, the Flight 781 plane, to solve both incidents. Fortunately, that search operation was meeting with more success; by the end of August 1954 they had some 70% of the plane, and from the parts brought to the surface the investigators could draw more conclusions. In the tail section, they found shreds of carpet from the cabin. The rear fuselage also bore the imprint of a coin thrown from somebody’s pocket, and traces of paint that were found to come from the passengers’ seats. All of this pointed, again, to an in-flight breakup. With most of the wreckage of Yoke Peter now raised and returned to the Royal Aircraft Establishment, the investigators were able to piece it back together, like a jigsaw puzzle, and trace the cracks in the aircraft back to the point where they had begun; a point in the roof of the cabin. They could now see that, after that first rupture had opened, a window had smashed into the elevators – vital control structures on the wings. 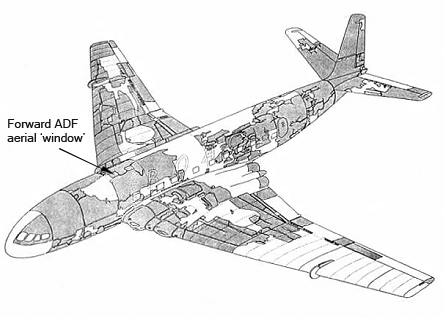 The rear fuselage had torn away, the outer wing structure fell, and finally the cockpit broke away. The wreckage had caught fire from the fuel as it fell. But the investigators still needed to establish why that first crack had appeared. They had their suspicions, but needed proof. Today, they would be able to turn to a computer simulation, able to recreate the flight in virtual space, but in the fifties that simply wasn’t an option. Instead, they embarked upon a remarkable practical experiment. BOAC donated the fuselage of another plane, Yoke Uncle, to the investigation, and a huge tank was constructed which would be able to contain the whole fuselage. By filling the tank with water, and then pumping even more water into the interior of the plane, they could recreate the effects of repeated pressurisation and depressurisation, as if the plane was taking flight after flight without ever leaving the ground. It wasn’t going to be a quick test. Even running twenty-four hours a day and seven days a week, it was thought it could take months to reach a conclusion. Before beginning the experiment, Yoke Uncle had taken 1,230 flights. The tank experiment continued until it had added another 1,830 – so the fuselage had experienced the equivalent of 3,060 flights – and then, the fuselage of Yoke Uncle broke, just as Yoke Yoke and Yoke Peter had done. Because of the water in the tank, the depressurisation was contained, instead of exploding with the force of a 500lb bomb as it had done in the air with the real flights. This meant that the investigators could clearly and easily see where the failure had occurred. The starting point was discovered at the corner of one of the windows. Upon closely examining that first crack, they found discolouration which came from algae in the water. This proved that the crack had endured several “flights” before it had actually spread to a catastrophic extent. The cause was metal fatigue. Each time the Comet took off, the pressurisation in the cabin made the metal expand a little. Each time it landed, and depressurised, the metal contracted again. Over the course of many flights, this constant back and forth weakened the structure, just like bending a wire paperclip back and forth until it breaks. Obviously metal fatigue itself wasn’t a new phenomenon. The engineers designing the Comet knew about it, but thought that they had taken it into account. What had they missed? The investigators returned to Yoke Uncle and the water tank. The experimental plane, Yoke Uncle, had failed after 3,060 simulated flights. However, there were additional stresses involved in a real flight that weren’t replicated by the water tank experiment, such as the vibrations of the engines, so investigators believed that the plane would have failed sooner in real flight conditions. Yoke Peter, the Flight 781 plane, had made 1,290 flights at the time of its crash, and Yoke Yoke, the South African Airways flight, had made 900 flights. Based on these conclusions, it was realised that designers had underestimated the safe loading strength requirements of pressurised airliner cabins. The standards were revised accordingly. The Comet itself went through extensive redesign. Most importantly, those large square windows were replaced with the round windows we’re all so familiar with today. Just by removing the sharp corners, the stress on the metal was reduced dramatically. But it was too late for de Havilland; they had lost their lead. Airlines who had been keen to buy the Comet before had now cancelled their orders, and even after the plane was redesigned and relaunched, sales didn’t recover. Other manufacturers had taken notice of the Comet’s issues – and the solutions – and had been able to implement those lessons in their designs. American designs, like the Boeing 707 and the Douglas DC-8, had taken over from the Comet as the leading choices. In the end, the Comet’s first strength was also its biggest weakness; these tragedies occurred because it was the first commercial jet airliner. Metal fatigue, whilst a known phenomenon, wasn’t thoroughly understood, and the designers simply hadn’t known what effect the repeated stresses of pressurisation and depressurisation would have. Other manufacturers admitted, at least in private, that if de Havilland hadn’t made those mistakes, one of them would have. Mistakes were made, and the lessons were learned at the expense of 99 lives, but every passenger who has travelled in a jet airliner since then has been safer because of it. I’d like to say a special thank you to Patreon supporters like LouLi, Skeleheron, Mish Liddle and Will Friedrichs, and to all of you for listening and reading. Supporting the Great Disasters podcast on Patreon can give you access to exclusive content, including special mini-episodes, and helps the show keep going.